We are used to have our cars covered to keep ourselves from dangers of the road. When you rent a car on a vacation or a business trip, you have several options to put into the insurance box of the rental agreement. It helps if you have a primary insurance for your own car - the same policy usually covers a rental car as well. But when travelling abroad, you are usually left with one of two options – a Collision Damage Waiver(CDW) from a rental car company, or a free CDW, provided by your credit card issuer. Major credit card payment networks in US – VISA, MasterCard, AmEx and Discover offer that feature on their products, but the details are slightly different. VISA offers rental car insurance on all types of VISA cards, making this benefit available to all VISA cardholders. The main limitation is that only 15 days for domestic travel is covered. For out of the country travel 31 days are covered by this policy which is in line with other credit card offers. A good example of how VISA card can get your rental car covered is the Chase Freedom Collision Damage Waiver. Recently Ireland, Israel, Jamaica and Northern Ireland were excluded from coverage, but now VISA say that only the countries where such insurance is illegal are excluded. It’s left on to a cardholder to investigate if the country where you are planning to travel bans such insurance. MasterCard includes a CDW policy very similar to VISA’s into its Platinum, World, World Elite and Gold cards. The only visible difference in coverage between VISA and MasterCard is that MasterCard covers a 9-seater passenger van, when VISA covers up to 8 seats only. AmEx banks payment network offers a secondary policy, much like its larger peers, but in addition it can give you the option to buy primary type insurance for a fee. For a $24.95 you can get a primary coverage for 42 days (or 30 in a Washington State) with a $100 000 maximum. Discover is falling behind other major payment systems in terms of provided rental car piece of mind for its clients. Max coverage limit is only $25,000 and only the holders of More, Miles, Open Road and Motiva are eligible. Loss of use fees is not covered, which is worse than VISA, MC or AmEx can offer. Credit cards policies are a good and free option for that situations when your rental is not covered by your primary insurance. Travelling abroad is one of the cases. 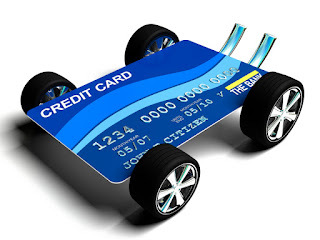 All credit cards require you to put the full amount of rental cost on a credit card, decline rental car collision coverage and authorize all drivers in the rental agreement. Complying this simple rules will let your credit card to ever you from unexpected when travelling and provide you with piece of mind.